Part 1 of my update about self. Just a record of what I experienced emotionally and mentally last year. May be too dramatic and personal. 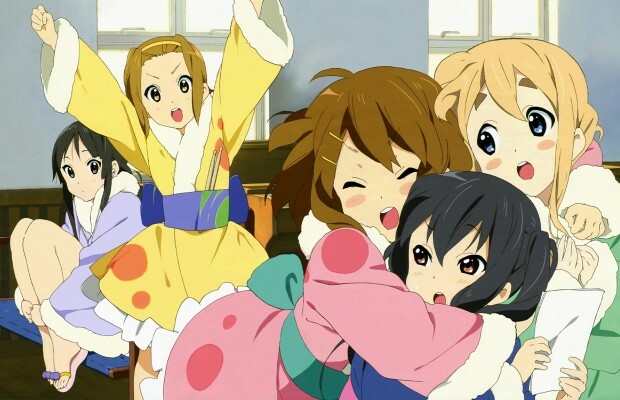 If you’ll see my list of anime, manga, and Asian dramas, you’ll notice that a lot of them feature stories of friendship among groups. Well, it’s common. Everywhere every single day, we can see a lot of groups of people. We are social beings after all. The past 2018, one of the things I learned to appreciate even more is the wonder that is friendship, bonds formed with people we learn to trust as we continually socialize with them. This post is my first post after a long while. I only just started reading posts again just a few hours ago, too. The reason is my being overwhelmed by a lot of things, a lot carried from the last half of 2017. They suffocated me a lot that I shrank from the pressure and ran from a lot of responsibilities given me. I was not happy with my 2018 self. I wanted to ran away and be left alone. But it wasn’t easy so I did what was easier to do — pretend that I’m all right. Whenever I shared stories with my close friends, I only shared about our family troubles, my need to finish my thesis, various encounters with my crush, desires for my skill improvement, and such. Never about my insecurities because I failed to graduate on time and my batchmates are all experiencing the adult life, accomplishing a lot of things while here I am seemingly stuck to the same mountain they had overcome a long time ago. Never about my being discouraged to continue my thesis as I feel stupider every time I open my file for it. Never about my shame whenever my parents and relatives talk about my extended college years. Never about a lot of thoughts and feelings that weighed me down that I just wanted to be like a burst bubble. It’s only when one of my housemates (who happen to be a really close friend) had a break down when my walls slowly but gradually broke, too. We didn’t think she was thinking of suicidal thoughts because she always has this sunny disposition. She is easily the one who creates laughs in our apartment. We knew that she was having a tough time with her graduate school, though. We knew that she frequently worries about her junior high students because a lot of them are suicidal. We also knew that she is strong, too. She isn’t shy to voice out her opinions and is always rational. She stands by her strong convictions. We can always count on her rebukes and corrections. However, we failed to remember that that didn’t mean that she would be immune to panic and anxiety attacks. It didn’t mean that she would not be one able to hide while crying alone whenever she was at school, even if it meant that she’d be the one to close it. It didn’t mean that she won’t have fears and insecurities. Yes, turns out, we were on the same page. We didn’t speak of the deepest truths in our hearts because we thought that we didn’t want to be a burden to others. Not to our family nor to our friends. Everyone has a burden, after all, and we didn’t want to add to that. But that kind of thinking can be counterproductive, too, especially when those who value you starts worrying about you because, well, a lot of them are sensitive and can easily detect when we’re building our walls. I’m really grateful for that situation because it paved way for each of us in the apartment (we’re all close friends) to speak up about our deeper problems and thoughts, personally and about the matter back then. I’m naturally an introverted person but I learned to socialize with other people. 2018 may be a year full of heartaches for me, but it’s also the year when I learned to treasure my friends more and to be honest and brave when speaking about my feelings, thoughts, and circumstances. Now facing 2019 with all the hopes and determination to make this year and myself better than the year before. Cheers! It’s definitely not too dramatic nor too personal. It takes a lot of courage to reveal that you’re vulnerable and feeling overwhelmed. Even though 2018 sounds like a very mixed bag for you, I’m also glad to hear that you and your friends became closer and more able to talk about anxieties and the like. I hope 2019 means more laughs and less problems! Sorry to hear about some of those things. I hope 2019 goes well for you.